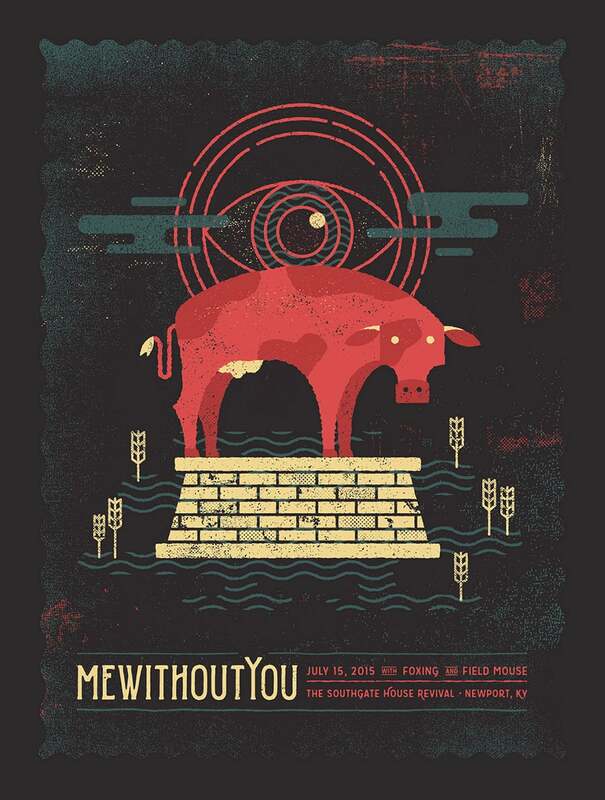 I'll be in Cincinnati tomorrow with mewithoutYou, selling these posters I've made to commemorate their show at Southgate House Revival with Foxing & Field Mouse. The posters illustrate details from the song Red Cow, including apparition eyes, the cornhusk dawn, and the obvious cow. I've included the song below. The posters are printed on heavyweight French Steel Grey 100wt paper, four-colors and limited edition. If you can't make it to the show, you can buy a poster on Thursday, right here in my online store.